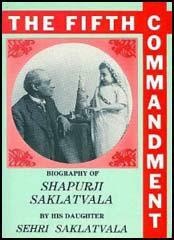 Shapurji Saklatvala was born in Bombay in 1874. His family were extremely wealthy and worked for his uncle's firm, Tata Industries, but suffered from poor health and in October 1905 he was sent to England for medical treatment. Saklatvala became involved in left-wing politics and in 1907 he joined the Social Democratic Federation, a socialist party led by H. M. Hyndman. Two years later he left to join the Independent Labour Party (ILP). He was a regular public speaker for the ILP and a contributor to its newspaper, The Labour Leader. In 1921 Saklatvala joined the Communist Party. The following year he became the party's candidate in North Battersea. His chances of victory increased significantly when John Archer, persuaded the local Labour Party not to oppose Saklatvala. With the support of the Battersea Trades Council, Saklatvala won the seat in the 1922 General Election. In the 1923 General Election Saklatvala faced Henry Hogbin, the Liberal Party candidate. The local Conservative Party, who feared Saklatvala's radical politics, supported Hogbin and this allowed him to win the election by 186 votes. However, he gained his revenge by beating the same candidate by 540 votes in the 1924 General Election. During the General Strike in 1926 Saklatvala was a strong supporter of the Miners' Federation. After one speech made in Hyde Park he urged the British Army not to fire on the strikers. 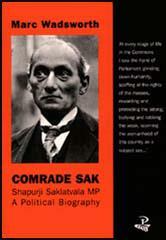 Saklatvala was arrested and found guilty of sedition was sentenced to two months in Wormwood Scrubs Prison. In the 1929 General Election the Labour Party refused to support Communist Party candidates. John Archer now became election agent to Stephen Sanders in North Battersea who easily defeated Saklatvala. He continued to be active in politics and was twice an unsuccessful candidate in parliamentary elections. Shapurji Saklatvala died in 1936.